How long should I wait for my Coverbind cover to cool before I can use it? The recommended minimum cooling time (or curing time) for the Coverbind binding glue is about 2 minutes, on average. If you are binding a document thicker than 1/2", we recommend you allow more time for the strongest possible bind. Read the article for more tips on thermal binding covers. 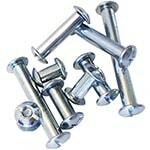 Where can I buy Screw Posts? Where is the Best Place to Buy Binding Rings? 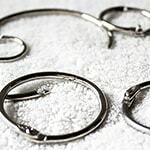 The best place to buy binding rings online is right here, at Binding101.com. The reasons why are that they are the lowest price per-ring that you can find anywhere, without sacrificing the quality of the rings, and the huge variety of kinds of rings (and sizes) to choose from. Learn more in thus article and learn how to get even lower prices with bulk discounts. What are the Pros of Plastic GBC Comb Binding? If you're torn between different kinds of binding options, and need a little help determining which is best, then this quick post will help! 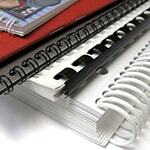 We discuss the pros of plastic comb binding, also called GBC comb binders. These features are what make plastic comb binding great, and just a few of the reasons why plastic comb binding is still so popular. Here will answer the most common FAQs about grommets that we receive, including what a grommet is, how it is different from an eyelet, what sizes grommets come in, how to apply a grommet, what grommet presses are compatible with what grommets, and more. What size GBC Comb do I need? If you need to know the best way to choose a GBC comb binding size, then Binding101.com is the place to find your answer! In just 2 simple steps, and referencing out easy-to-use chart, we will guide you to the industry-recommended comb binding spine size for the specific thickness of your book. 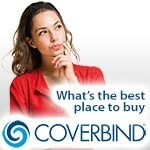 What is the Best Place to Buy Coverbind? 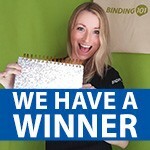 In this article, we discuss why Binding101.com is the best place to buy Coverbind products, including our extended hours of availability, our hands-on expertise, our price match guarantee, our fast shipping time, and our unique inside-look at the Coverbind company. In an competitive industry like today, companies are always looking for a way to set themselves apart from the fierce competition. Some might slash their prices, and others might strive for the best service, but what many do not consider is the presentation aspects of their business and how important they actually are to first impressions. You need to make a powerful first impression that will last...you can do this with personalized products from Binding101. 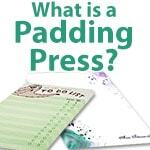 A padding press is a device that creates pads of paper and notepads. Also called a padding machine, it holds stacks of paper in-place while a specialized padding glue, called padding compound, is applied to one edge of the stack. After drying, the stacks are removed and cut down to size. In this post we give you the definition of a grommet, as told by experts of the industry. 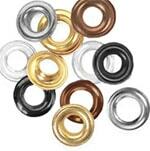 We also explain the different between a grommet and an eyelet, which are often interchanged by inexperienced users. 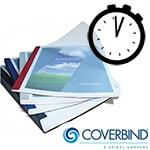 Coverbind binding is a thermal binding brand-name that is known for their incredibly strong finished bind and the professional look of the finished book, as well as the fact that they are the only manufacturer of automated thermal binding machines. 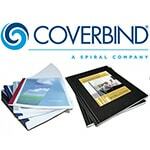 Learn all about Coverbind in this comprehensive article, including the kinds of thermal binding machines and thermal binding covers that are available. 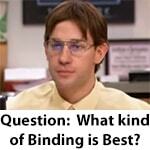 What is the Best Binding Machine Brand? With our over 75 years of experience in the document binding industry, we have come across many sub-par brands, as well as some exceptional brands that we love! 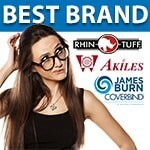 In this article, I am going to answer the common question of what the best binding machine brands are. The four brands we will discuss are all world-renowned for their quality, and tested by our Binding101 industry experts to prove their longevity. So without further ado... here we go! What Kind of Binding Sizes are Available? If your'e wondering what kind of binding sizes are available, then you should know that it will vary depending on the actual kind of binding (or binding style) you are using. 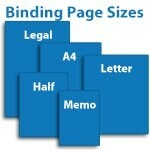 In general, however there are some common binding sizes across-the-board for most (if not all) document binding options. The best document binding solution for you will vary largely on the functionality and use of your final document, as well as the size of the sheets themselves, the number of pages, and your overall budget. In this article I will go over some of the most popular ways to document bind using the traditional punch-and-bind method, highlighting these four factors for each option, so you can compare them and choose the right kind of document binding for you. What are the Best Paper Cutter Blades? 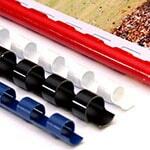 To ensure you are using the best paper cutter blades, always buy your replacements from Binding101.com. We stock the absolute highest quality manufactured paper cutter knives, in several grades of steel, as well as for every paper cutter manufacturer on the market, including Adast, Baum, Challenge, Chandler and Price, EBA, Horizon, Imerial, Itotec, Kolbus, Lawson, Polar, and so many more. What Book Bindings are Best? Some of the best book binding options include saddle stitching, thermal binding, wire binding, perfect binding, case binding, spiral binding, and more. 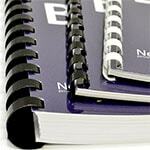 These document binding methods are popular and high quality, making them the best on the market. 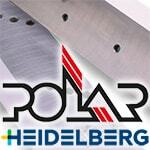 Where can I Buy Paper Cutter Blades for my Polar Cutter? If you have a Polar Heidelberg paper cutting machine and are looking for the best place to buy replacement paper cutter blades and cutting sticks, then Binding101.com is the place to buy. 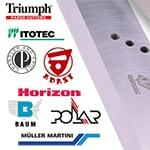 We stock a huge variety of cutting knives for various Polar cutters, including the Polar 55, 58, 71, 76, 82, and many more! PLUS if you don't see your exact cutter model listed, don't worry - we can get the exact replacement blade you need for ANY Polar Heidelberg paper cutter, old or new. What are some of the best DIY presentation solutions for your home business? Check out these 3 fast and easy ways to DIY high quality presentations. They have low quantity minimums, and don't require any outsourcing, so you don't have to spend a bunch of money at a bindery shop. 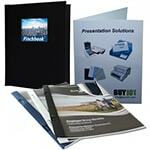 Instead, just print your presentations from your own printer and bind them together with these do it yourself presentation covers. 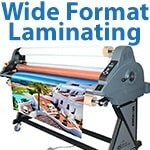 Proper laminating and finishing is an essential step in wide-format print production. Learn everything you need to know about wide format lamination in this detailed article that discusses machinery, laminate film, and tips to get the perfect lamination.